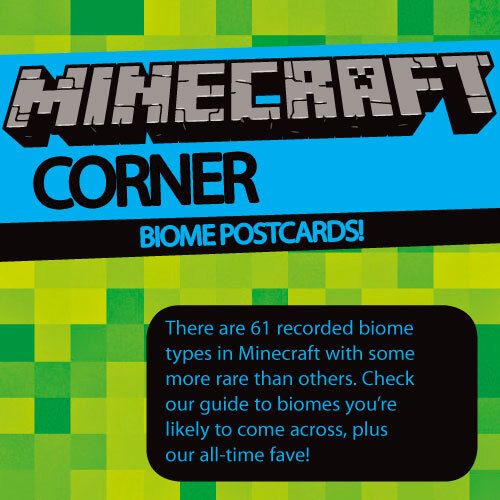 Minecraft Biomes Games Guide: Here's our top picks of the different Minecraft landscapes. Look out for loot, watch out for traps. 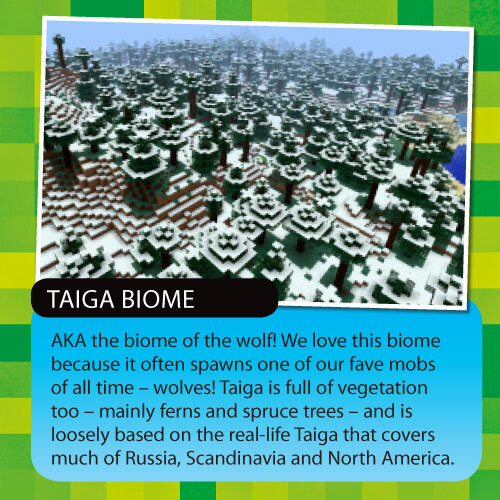 Watch out for wolves, but also yay tame wolves = creeper controlling pets! 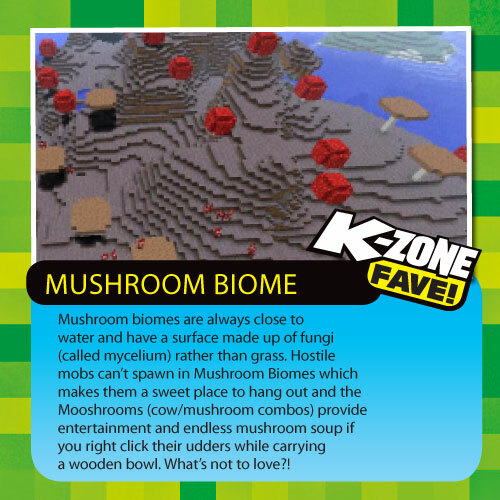 Look out for mooshrooms (cow/mushroom combos), plus no hostile mobs spawn here. This is a K-Zone fave! minecraft is so fun on ps3 because of fallout world!! Really what about the jungle temple? I have PC minecraft XBox minecraft and PE minecraft. I don't know how many more I need! I have minecraft on the Xbox 360. 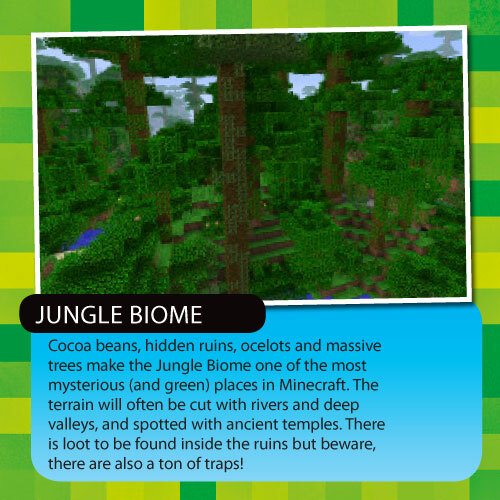 I have been to all of those biomes on creative!